Foreign Ministry and Austrian Economic Chamber open joint office in California to support Austrian companies and pave their way for success in Silicon Valley. 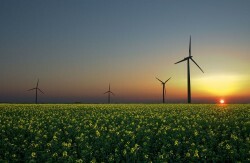 OSCE: "Reliable, Affordable and Sustainable Energy Supplies are Prerequisite for Stability and Security"
Energy experts from the OSCE Mediterranean Partners for Co-operation, representing both government institutions and private sector companies, will begin a week-long field study of sustainable energy in Austria and Germany. Symposium in Vienna: "Current Security Challenges for Europe: NATO, its Partners and the Warsaw Summit"
The upcoming summit of the North Atlantic Treaty Organization (NATO) in Warsaw from 8th to 9th July 2016 sees the organization facing numerous challenges. The withdrawal of combat troops from Afghanistan and rising tensions in the European area – from the conflict in Ukraine to the migration crisis, effected the question of the role of NATO’s Partnership for Peace under the new circumstances. A conference in Vienna with the working title "Current Security Challenges for Europe: NATO, its Partners and the Warsaw Summit" intends to discuss these and other pertinent issues. According to the latest issue of the competitiveness ranking established by Swiss research facility Instituts für Management-Entwicklung (IMD), Austria edged up from rank 26 to 24 y/y in 2015. According to the Vienna Business Agency, last year a total of 175 international businesses relocated to Vienna. Compared to the previous year, the result of 159 relocations was further improved. 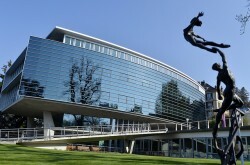 Compared to the other federal states, Vienna was able to attract almost five times more international businesses than the second-placed Carinthia, which, according to statistics of the Ministry of Economy, recorded 36 new businesses, followed by Salzburg (25), Tyrol (20), and Lower Austria (18). Diplomacy and business go hand in hand. From now on, synergies between the representation networks of the Federal Ministry for Europe, Integration and Foreign Affairs and the Austrian Federal Economic Chamber are to be used more efficiently. Austria's business delegation has returned from a five-day visit to India. What did they achieve? Dr. Richard Schenz has recently been appointed as new President of the Austrian-Russian Friendship Society (ORFG - Österreichisch-Russische Freundschaftsgesellschaft). He succeeds CEO Ludwig Scharinger who left office for health reasons. 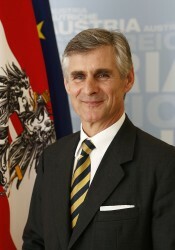 KR Sen.hc Richard Schenz is a Vice President of the Austrian Chamber of Commerce (WKO). 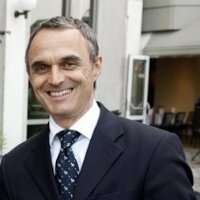 He was formerly CEO of OMV and Capital Markets Advisor to the Austrian Minister of Finance. 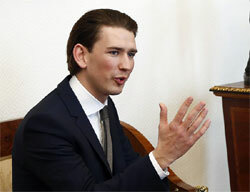 On the sidelines of a conference of experts on Integration of Austria's regional governments in Eisenstadt, Sebastian Kurz and Norbert Darabos announced a workshop cooperation between the Austrian Integration Fund (AIF) and the Federal Province of Burgenland: the AIF will offer workshops on integration for refugees and immigrants. Recently the Foreign Trade Department of the Austrian Federal Economic Chamber organised an event focused on India. Entitled “Parameters for Your Success with Business in India”, the event counted with the participation of ca. 70 Austrian companies and entrepreneurs aiming for India or potentially being interested in doing business there. The Ministry for Foreign Affairs’ Secretary General, Linhart visited Sarajevo. 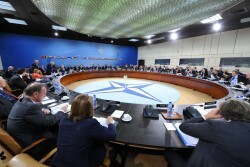 EU-accession and fight against radicalization were in the centre of the talks. Linhart: “Full support for the Bosnian reform route”. On the occasion of the establishment of the EU-trust-fund, which aims at combating the reasons for migration and flight in Africa, against the backdrop of the EU-summit in La Valletta, Minister for Foreign Affairs, Sebastian Kurz underlined the necessity that Europe provides suitable answers to the challenges posed by the current refugee crisis. 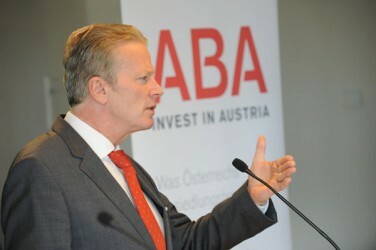 Austria will support the fund with EUR 3m from the Austrian Development Agency’s (ADA) budget. During the current General Conference of the Organization for Education, Science and Culture of the United Nations (UNESCO) Austria was elected to five steering committees. The successful candidacies prove the credibility of Austrian experts worldwide. OSCE expert meeting in Vienna focuses on effective policies for temporary, seasonal and circular labour migration. Some 70 representatives of OSCE participating States and Partners for Co-operation, experts from international organizations, civil society and research centres discussed changing labour migration dynamics at an expert meeting that concluded in Vienna today on effective policies for temporary, seasonal and circular labour migration. For the second time, the Annual Conference for Executives of Austrian Subsidiaries returned to Chicago. A group of renowned financial, legal, economic experts and consultants presented an outlook on the business environment as well as forecasts for the US and Canadian economies to an audience of some 100 top-level Austrian executives and important decision makers from a variety of industries. On October 2nd the Ladies Organization of the Federation of Indian Chamber of Commerce and Industry (FLO) is a guest at the Austrian Chamber of Commerce. 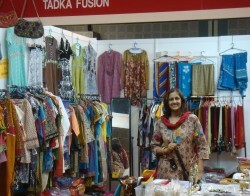 Thirty-eight Indian entrepreneurs from the sectors of textile, crafts and jewelry are expected. In addition, the fields of education and arts management are represented. OSCE Secretary General Lamberto Zannier today met refugees and representatives of local aid organizations at the Vienna West railway station (Westbahnhof), where he was briefed by Austria’s Interior Ministry and the Vienna police about their operations. 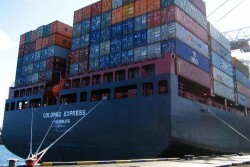 The success of exporters on international markets secures prosperity and jobs in Austria, with six out of every ten euros generated by exports. Recently the 2015 Export Award winners were selected by an independent expert panel. The Austrian Export Award gives annual recognition to the most dedicated and successful companies. 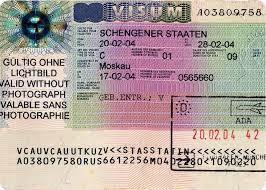 Austria has decided to introduce a liberalized regime for issue of business visas to Austria, effective from August 1, 2015. In an initial pilot phase, the new regime will be applicable only to India, China, and Indonesia. Protecting groups vulnerable to human trafficking along migration routes and in destination countries is the focus of the 2015 Alliance conference, where during the next two days leading experts are looking for new ways to assist at-risk migrants. “This has become an increasingly urgent international issue with serious security implications for the OSCE area and neighbouring regions,” Aleksandar Nikolić, Serbia’s State Secretary of the Interior Ministry, said on Monday. 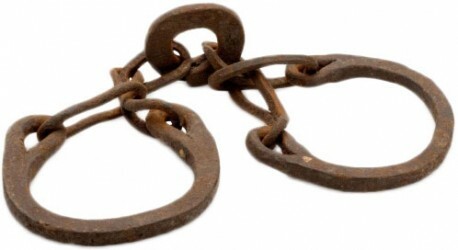 Combating human trafficking along migration routes will be in focus at a high-level conference on 6-7 July in Vienna. The conference will draw attention to the impact of state migration policies on trafficking in human beings, the increasing risk of being trafficked during times of crisis, and the special vulnerability of unaccompanied minors on the move. 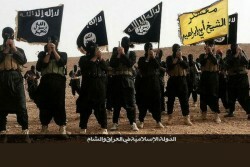 An expert conference in Vienna next week focuses on countering the incitement and recruitment of foreign terrorist fighters. Ernst & Young's latest analysis on the Eurozone forecasts that the Austrian economy is to grow 0.7% in 2015, underperforming the Eurozone as a whole for the second consecutive year. Investment is expected to remain subdued, while the contribution of exports will be only marginal as a consequence of the modest external environment. 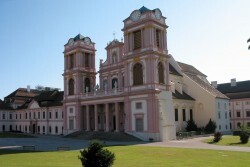 The European Forum Wachau is a European debate event and will be held this weekend at the Stift Göttweig in Lower Austria. 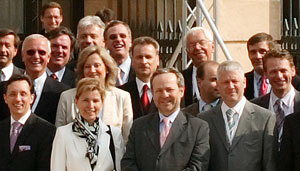 The event was launched in 1995, the year of Austria's accession to the European Union. Participants of the conference titled “Has Europe reached its limits? Reflections on Europe’s future role on the global stage” will discuss topics such as, the EU as a security provider, the EU's new mode of regional cooperation and the EU and her neighbours. The Eurovision Song Contest Village: "Let's Meet at Rathausplatz"
In the week leading up to the ESC finals in Vienna, Rathausplatz – the square in front of Vienna City Hall – will be turned into the Eurovision Village from 18 to 23 May 2015. It will be THE place to be for everyone interested in the Eurovision Song Contest (ESC) 2015. The programme starts on 18 May with the opening event featuring an international fashion show, and will continue with themed days, live performances by ESC contestants, a colourful family programme. On 23 May, the ESC finals will be broadcast live from Stadthalle and shown on Rathausplatz. For one week, the framework event under the motto "Hello Vienna. Welcome Europe!" will highlight the very best of the Eurovision nations, including culinary delights from different countries. 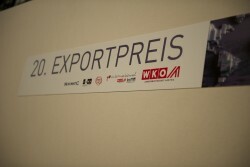 On June 30, 2015, from 10am to 5pm the Export Day (Exporttag 2015) of the Austrian Chamber of Commerce (WKO) will take place in Vienna. Economic delegates from all over the world will be present. 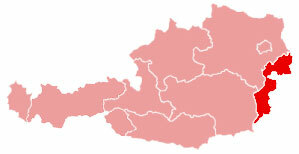 Vienna is already the city with the second largest population in the German-speaking countries. But Vienna is growing faster than ever. This development entails a tremendous challenge for Vienna. Based on the figures now available, investments totalling seven billion euros will have to be made by the year 2020 in the areas of child care, public transport, other infrastructure facilities and health services alone. 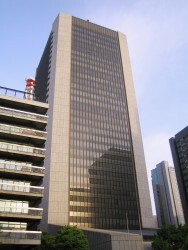 Mizuho Bank through its Dutch subsidiary has acquired the approval to open a branch in Vienna. 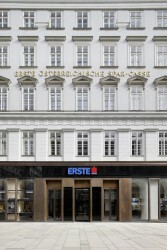 The bank is looking to develop its business in CEE. Simultaneously the Bank signed a memorandum of understanding with the Austrian Business Agency for services in connection with the setup. 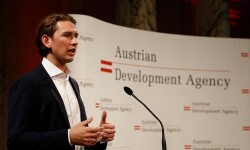 „In the last 10 years, we have contributed to the improvement of the lives of millions of people in our partner countries with 3.000 projects and approximately €900m”, says Federal Minister Sebastian Kurz on the occasion of the Austrian Development Agency’s (ADA) anniversary, in the Museum of Ethnology in Vienna. The ADA is active in 11 core countries on four continents, combating poverty, securing peace and working for improved environmental protection. The Permanent Mission of India in Vienna celebrated the International Day of Non-Violence and the 145th Birth Anniversary of Mahatma Gandhi at the Rotunda at United Nations, Vienna International Centre. 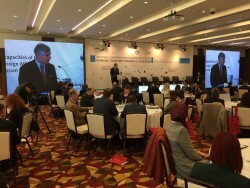 DG UNOV, H.E. Mr. Yuri Fedotov, DG UNIDO, H.E. Mr. Li Yong, Permanent Representatives of various countries and officials of the UN Vienna were present at the event. The Indian Embassy in Vienna in cooperation with the Austrian Chamber of Commerce, organized the "Make in India" launch event at the WKO in Vienna. The main focus of the event was the recently announced “Make in India” campaign. Details about the negotiation progress at Austria’s National Assembly have meanwhile been released. The Transatlantic Agreement CETA with Canada and the TTIP agreement with the USA have been cause for disagreements. The assembly has adopted a motion for resolution of the Social Democratic Party (SPÖ) and Austrian People’s Party (ÖVP) concerning the transatlantic economic agreements with Canada (CETA) and the USA (TTIP). The motion calls for transparency of negotiations and ratification of the agreements by national parliaments. A 140 million Euro investment from Frankfurt based e-shelter strengthens Vienna as an international ICT center. As part of a festive gala evening in Vienna's Museumsquartier, the Austrian Export Prize 2014 has been awarded by the Federal Minister for Science, Research and Economics, Reinhold Mitterlehner, and the President of the Economic Chamber Austria (WKO) Christoph Leitl. Mr. Norbert B. Lessing takes over the job of the President of the American Chamber of Commerce in Austria from Mr. Felix Thun-Hohenstein. Foreign Ministry: "Freedom of Religion in Austria"
The first meeting of the Interreligious Dialogue Platform at the Austrian Ministry for Europe, Integration and Foreign Affairs took place. 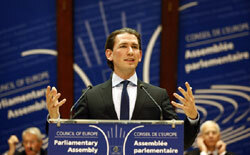 Integration Minister launches an initiative for dialogue with recognised churches and religious communities in Austria. The Austrian Federation of Industries (IV) considers the EU entry of Austria as the basis of prosperty and economic growth in the past years. 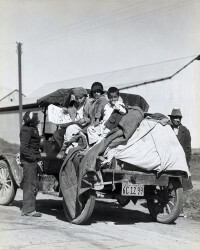 However, now reforms are required to catch up to a global level. Vienna Real Estate Market Hopelessly Overstrained? Real estate trustees in Vienna demand a limit to state-subsidized apartments and call for “unrestricted” rents. Bureaucratic hurdles burden the Austrian enterprises the most apart from taxes and other levies. The establishing of a new fund for the banking union will become a financial burden for banking institutes.